Stop 1. 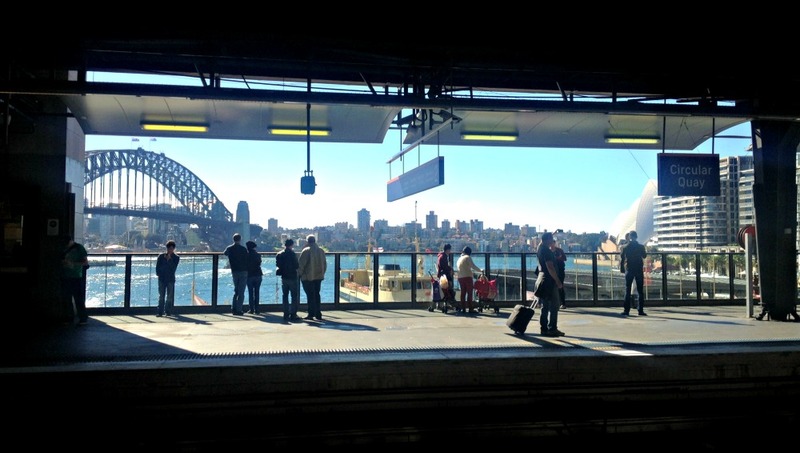 Visit platform two at Circular Quay for the best train station view in the world! Stop 8 & 9. 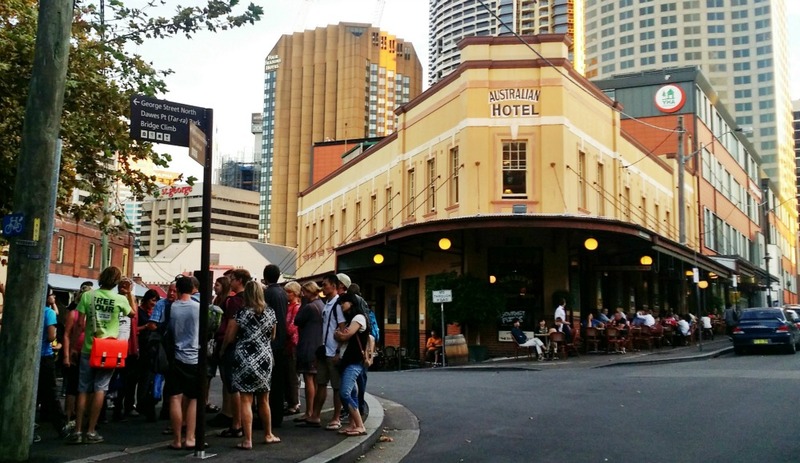 Choose a pub on Cumberland Street and rest for a while with for a few drinks. 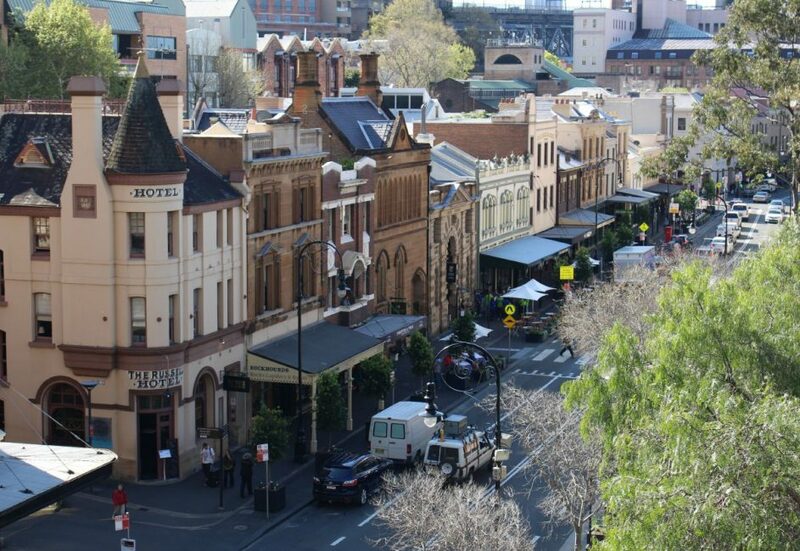 A visit to The Rocks shows off historical Sydney at its best. 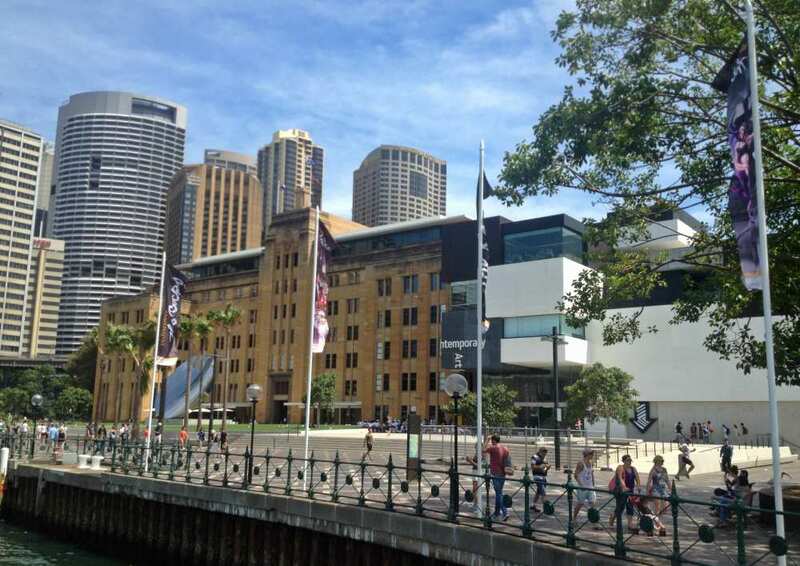 This Rocks self-guided walk will help you discover Sydney’s colonial history in just a couple of hours. Let’s start with the name given to this western side of the harbour. Why is this is called The Rocks? Well, when the First Fleet arrived they moored here against the very rocky shoreline and the area quickly earned the nickname, The Rocks. In time the name caught on and began to appear on government maps. The indigenous name for the Rocks is Tallawoladah as you will see on new signage around the area. I am pleased this is happening, but I think it will take some time for this traditional name to gain widespread use. So let’s get walking, the route below explores my favourite parts of this area. Allow about 2-3 hours for a slow leisurely stroll although you could race around and cover it in a lot less. It depends on how often you stop for photos or beer! Before we begin, you really should see this view. Even if you don’t come by train as long as you have an Opal card, you can tap on, go up to Platform 2, take a photo and then tap back out without it costing a cent. As you leave the station you are going to be walking to the left of the wharves, towards the park and large sandstone building; this art deco structure is the Museum of Contemporary Art (MCA). Most of the exhibits here are free to visit. Along with some fantastic modern art, there is also a rooftop cafe with very reasonable prices and great views. A perfect stop if you feel like you need some coffee or drink before you start on your walk. My tip – Try the house made Rose Hip & Mint Fruit Punch, it’s my favourite! 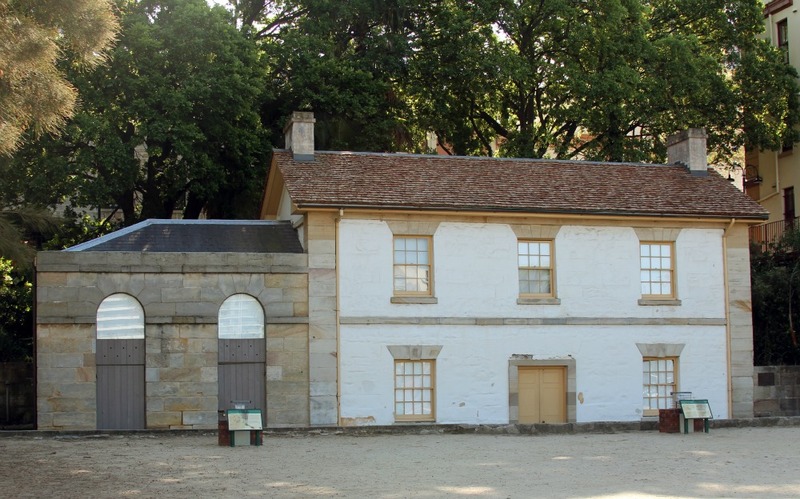 Cadman’s Cottage is the oldest surviving residential building in Australia. It was initially right on the waterfront until the government reclaimed the shoreline to build Circular Quay. The cottage was once home to John Cadman, a coxswain in the colony, assigned to look after the ships. For many years it was an information centre but unfortunately, it is no longer open to the public. Walk up Argyle Street to the left-hand side of the building. Cross George Street and head a little further along to the first corner, Kendall Lane, a little along the lane is The Rocks Discovery Museum. 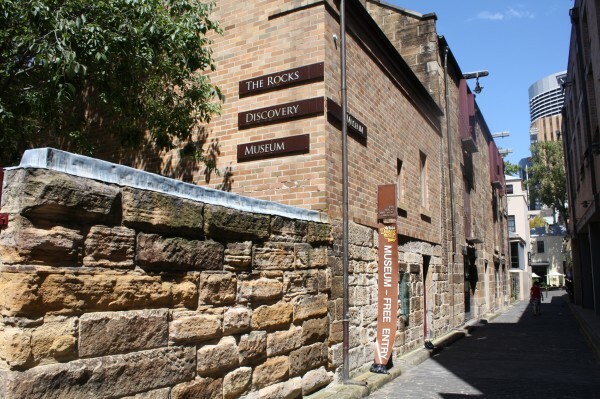 It is open daily from 9.30 am – 5.30pm and offers a free, small but impressive collection on the history of the Rocks from before the arrival of the first fleet. 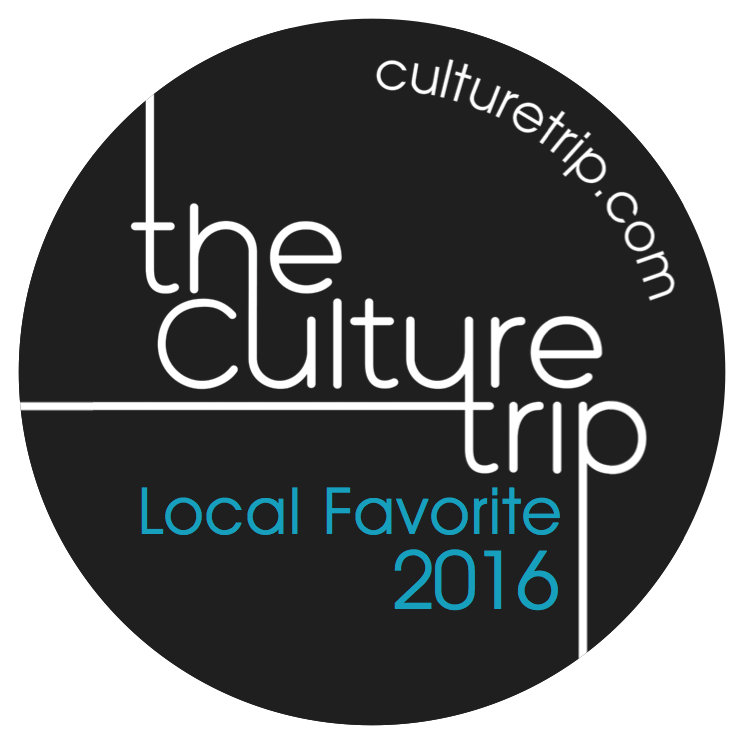 It’s a great place to get some context before you explore the back streets. It’s also really well set up for younger visitors with activity sheets to get them involved in the collection. Pick up a self-guided tour map while you are here in case you have trouble with my directions. Even if you are not one for museums, it’s an excellent example of the architecture of the time. 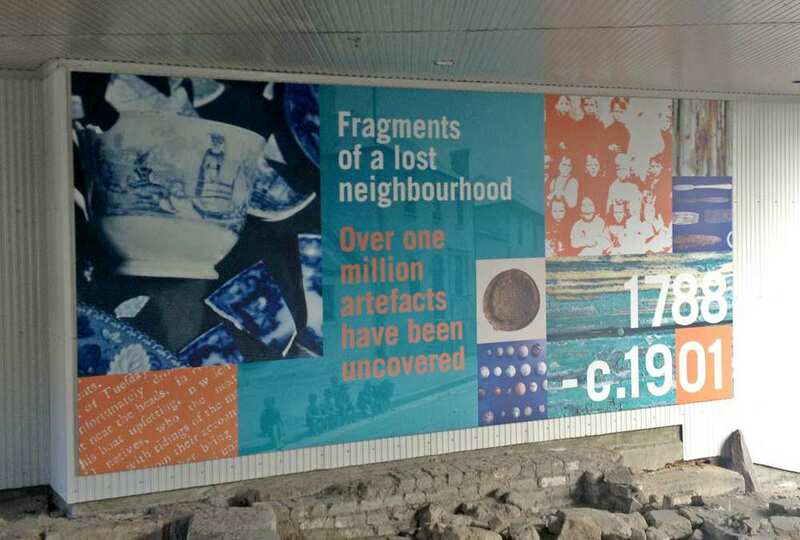 Once you exit the Museum head back to the Visitors Centre and out onto Playfair Street. You are now in Rocks Square which is home to some takeaway food shops and a set of terrace houses built in the early 1880s. These days the terraces are home to shops and tour booking centres. At the George Street end of the square a sandstone sculpture First Impressions, which is worth checking out. After you have finished shopping look for the narrow passageway that runs between the shopfronts at 25 and 27 Playfair St. This lead to our next stop, Foundation Park. 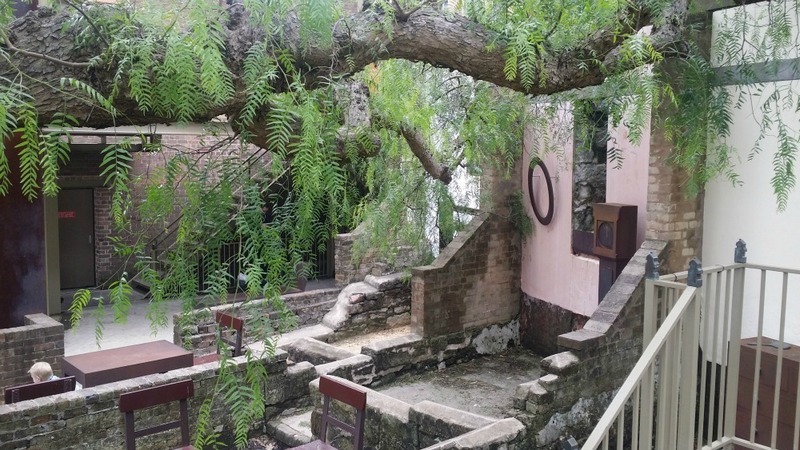 Foundation Park is a bit of a secret gem; in fact, many Sydneysiders have never visited. The site is the remains of 8 terrace houses were built in the late 1870s. In the early 1970s, the area was preserved and turned into a park. You can see some photos of the original terraces here. From here climb the stairs to Gloucester Walk and walk left along the street until you see the stairs that head up to Cumberland Street (they are next to the back of the Glenmore Hotel). Cross Cumberland Street and take another staircase to Observatory Hill. 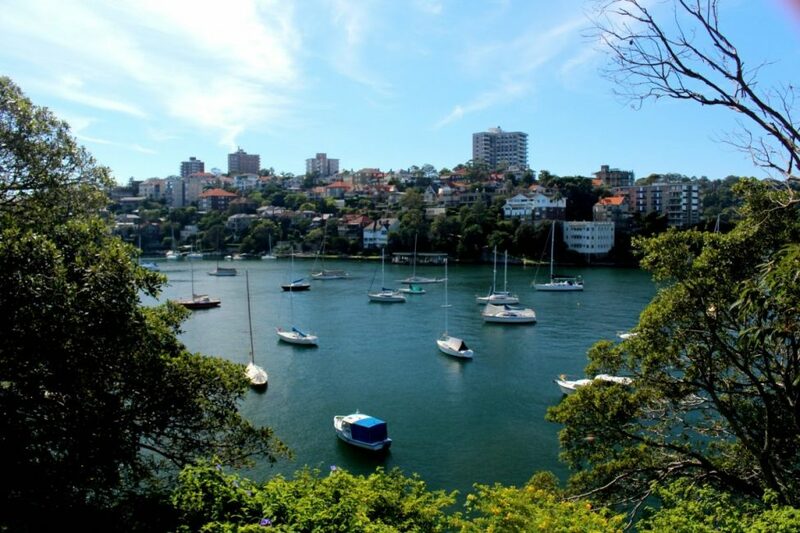 Observatory Hill is a great spot to check out the western side of the Harbour. From up here, you can see Miller’s Point, Barangaroo and an alternate view of the Harbour Bridge. You will also find the Sydney Observatory, the S. H. Ervin Gallery and the National Trust. You can visit these buildings or sit a while and take in the view. After you have finished exploring here, head back to the staircase to Cumberland Street. Decision time! By now you are probably in need of a short break. 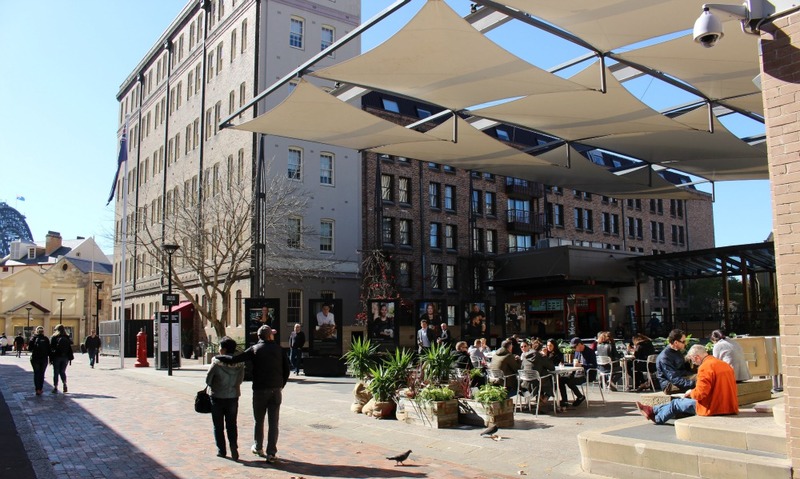 Cumberland Street boasts two excellent choices, The Glenmore Hotel, and The Australian Heritage Hotel. 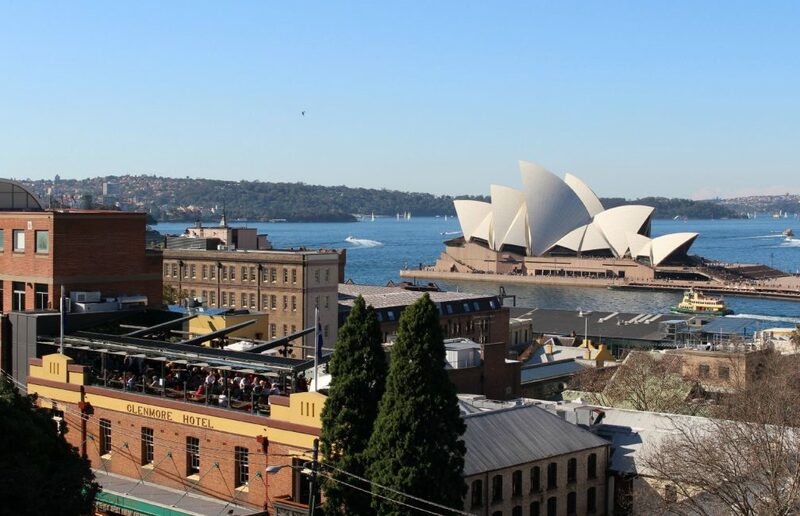 The Glenmore Hotel has a lovely rooftop bar with affordable food and a great view of the Opera House. The Big Dig excavation site is our next stop. 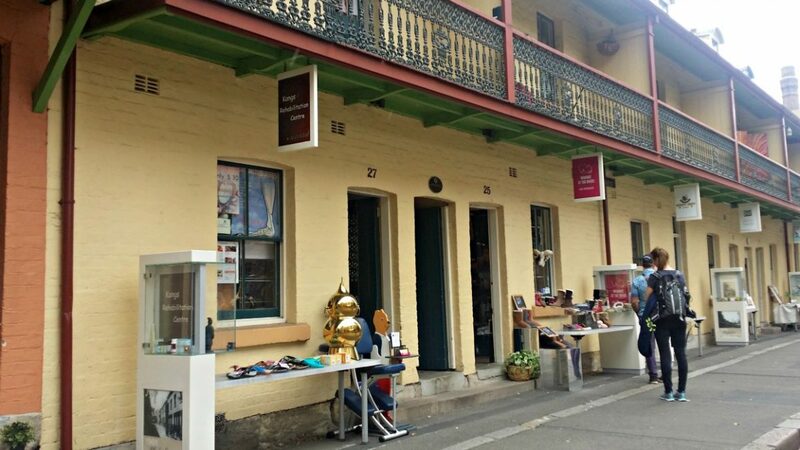 Head south past the Australian Hotel till you reach the Sydney Harbour Youth Hostel. 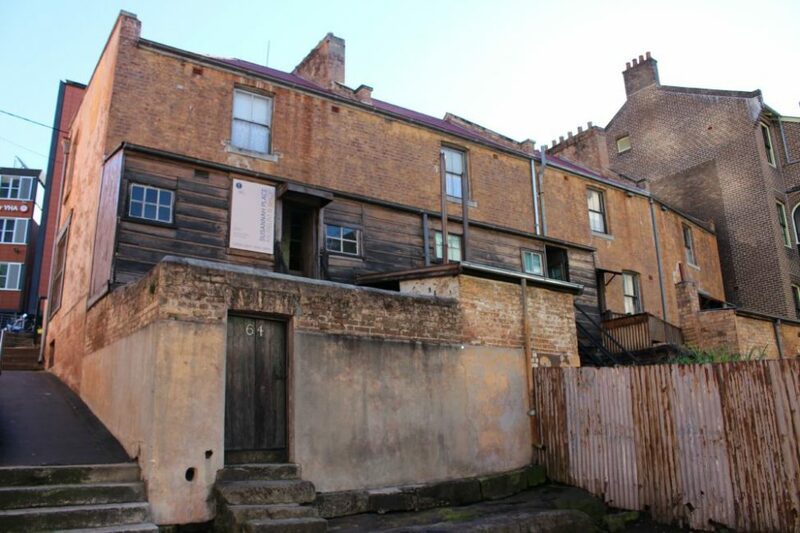 Once you leave Susannah Place walk down the stairs beside the shop and see the properties from the back – this site looks almost the same as it did 100 years ago. Continue down the stairs, officially called the Cumberland steps, to Harrington Street and turn left. Walk along the street a few hundred metres until you reach a small lane on the right-hand side of the road. Officially called Harrington Lane this narrow walkway had been known as Suez Lane for over 150 years because of the water runoff that rushed down the lane after rain. It was also a hot spot of crime and passion (of the paid sort). About halfway along the street turn right into Nurses Walk. 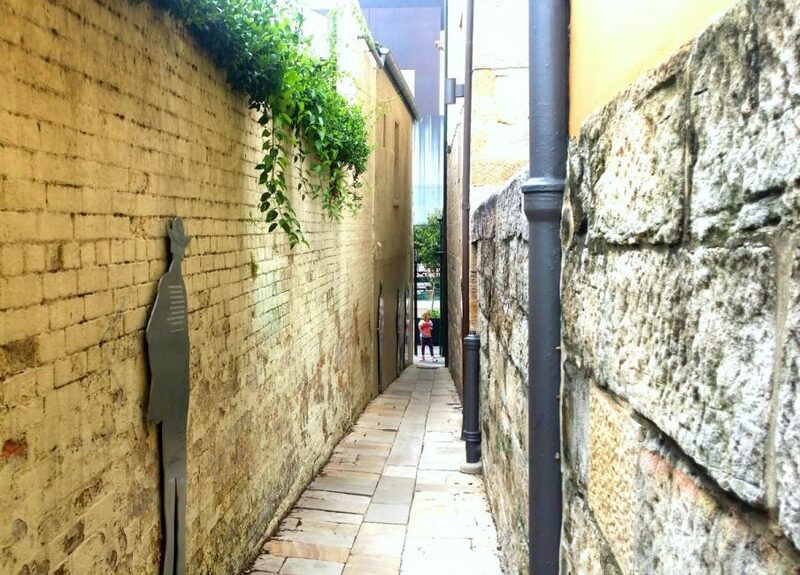 This laneway was the direct route that the nurses took to Sydney’s first hospital. Today it is home to gift shops and cafes. The walkways feature signs for those wanting to know more about the history of this spot. 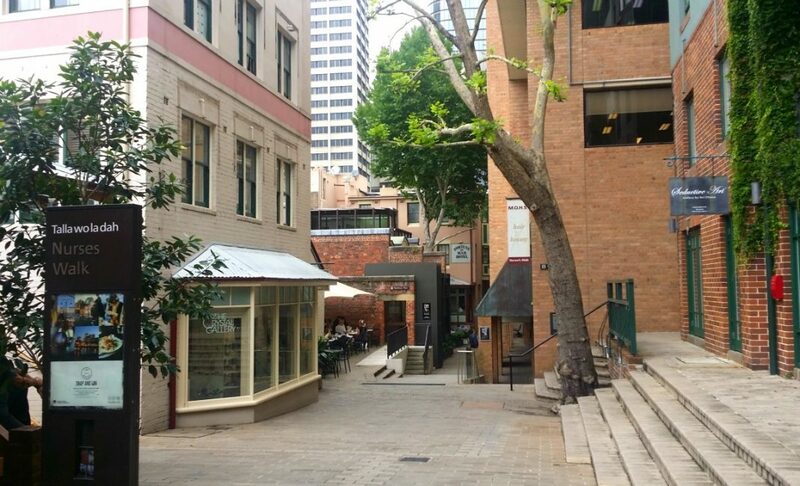 Now follow one of the passageways out to George Street and walk to towards the Harbour Bridge end of the street. Along the way do a bit of window shopping in the stores and cafes along the road. On weekends, there is a market that runs along the far end of this street. When you get to the corner of George Street and Hickson Road, take Hickson Road and walk down the stairs to towards the water. This beautiful old warehouse is called Campbell’s Stores and was built in 1839 to house tea, alcohol, sugar, and fabric. These days it’s home to upmarket restaurants and function centres. The Stores and surrounding area are currently being restored, and you will not be able to access the front of this area until later in 2018. 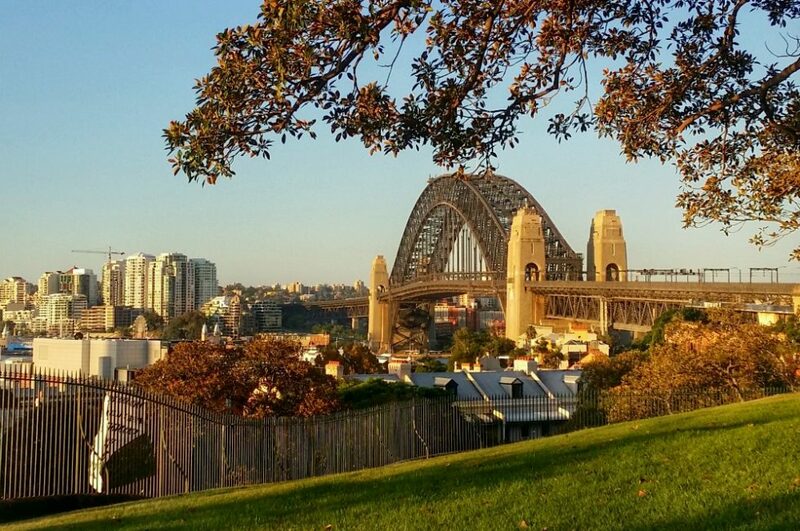 From here you can follow the path around to Dawes Point and capture a shot of the Harbour Bridge and palm trees. Retrace your steps around Campbells Cove to the Overseas Passenger Terminal and take the elevator to the top floor. From the top floor where you will find a metal rotunda. 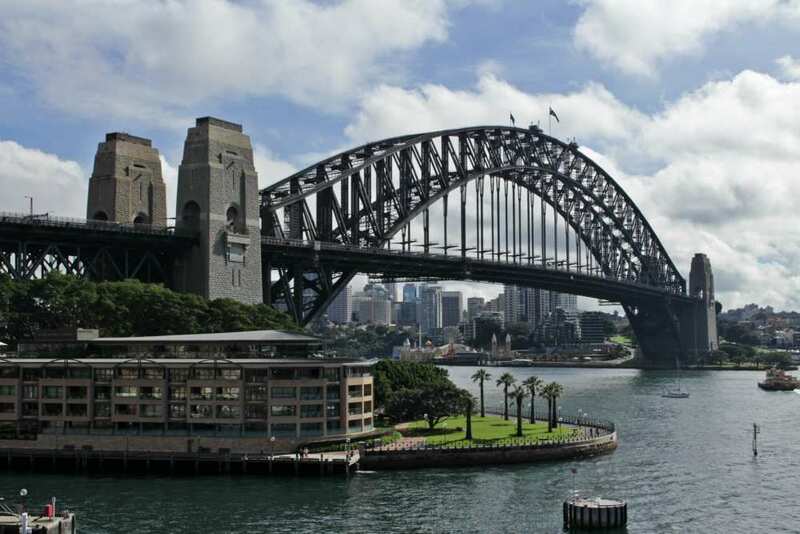 Take the stairs up another level, and you have a bird’s eye view of Circular Quay and the Harbour Bridge. So there you are – you have finished your self-guided walk of the Rocks. On the Google map below you will find all the stops plus an extended walk covering another dozen stops. Open the map in My Maps to see the various options in detail. 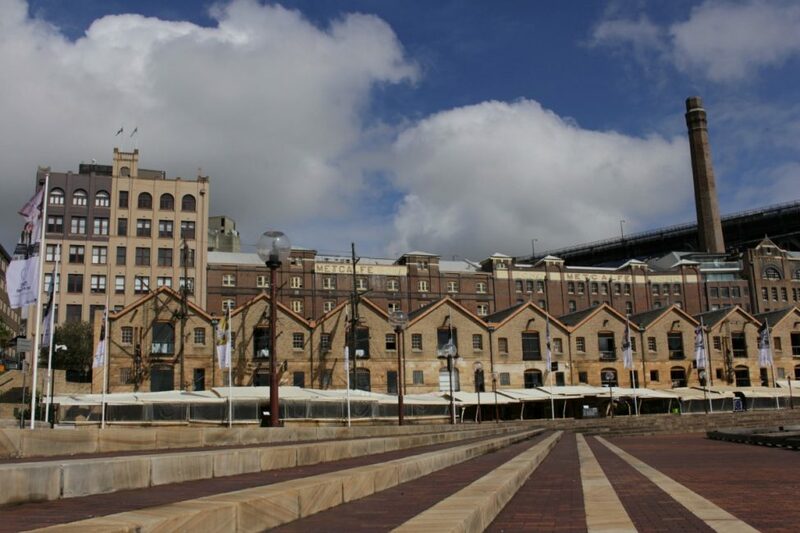 If you prefer a guided experience, there are lots of tours available in the area including a standard guided tour, a haunted Sydney ghost tour, a very appropriate a pub tour, that is especially fun if you a solo traveller and fancy a night out, an indigenous tour and one I have done and enjoyed the Sydney Photography Tour. There is also a free tour with I’m Free every evening at 6 pm. If you have some energy left and want more, continue under the Bridge to Walsh Bay and explore these old harbour wharves. Buses 431 and 433 head back to the city from the George St near Lower Fort St or keep walking around to the brand new Barangaroo Reserve and the restaurants of Warrigal Walk. I highly recommend you download the free Walking the Rocks app – this will give you information on all the main sites as well as great background details on the general history of Sydney. 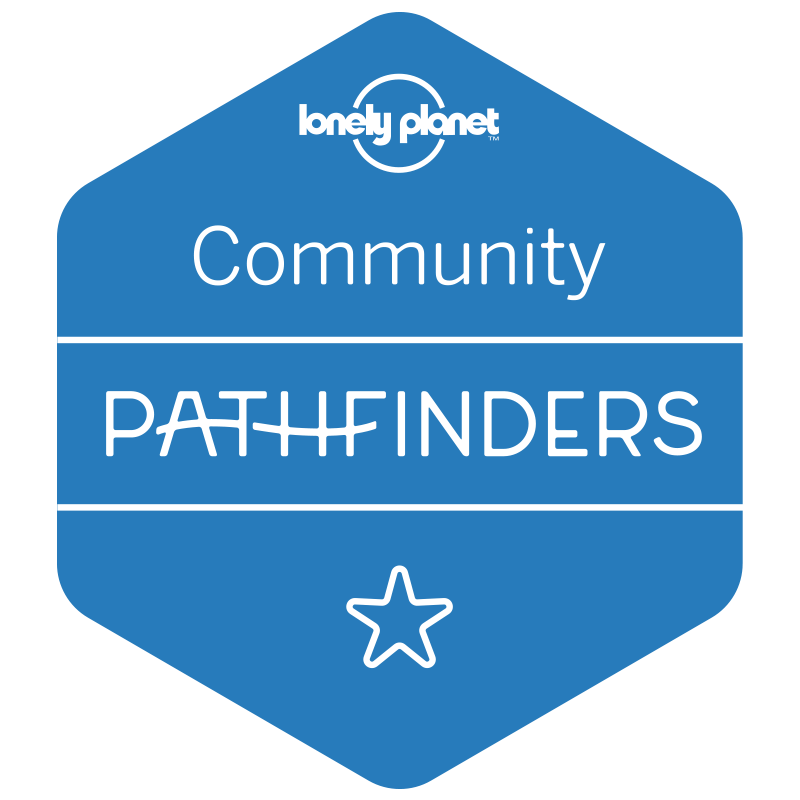 Finally, if you have questions about visiting Sydney, you are welcome to come and join our friendly Sydney Expert Facebook group where there are plenty of friendly locals and past visitors ready to help out. I have not been to the Lowenbrau for years, cause I am with visitors they want to try a local Aussie style place. Must pop in for a beer in your honor Mark 🙂 It has great outdoor seating for people watching. Great itinerary! I much prefer a (well informed) self guided walk than a tour and I’ve visited Sydney a couple of times and thought I had seen most of ‘The Rocks’ but you have shown me how wrong I was! Have bookmarked you post for my next trip to Sydney. Thank you! I hope you get to come back and spend a bit of time in my favourite part of the city Arzo. I’m embarrassed to admit that when I was in Sydney I missed quite a lot of these sights. I visited The Rocks but was distracted by the weekend market they have there, which is amazing. I guess I’ll have to go back now and use your post as my guide! En mi visita a Sydney, fue la parte que mas me gusto, junto con woollara. This is such a neat tour! I did this yesterday with a group of my international students and they weren’t the only ones discovering new places, I learned a lot too. One of them told me that when we told them we were doing a walking tour that it was going to be really boring, but it was so much fun! So glad they enjoyed it Sammie. It’s one of my favourite parts of the city and there are lots of hidden spots to find! Another interesting post highlighting a few things that are new to me. I must do this walk soon. Thanks. Followed most of this tour and it was a well laid out tour to give you a good idea of The Rocks. 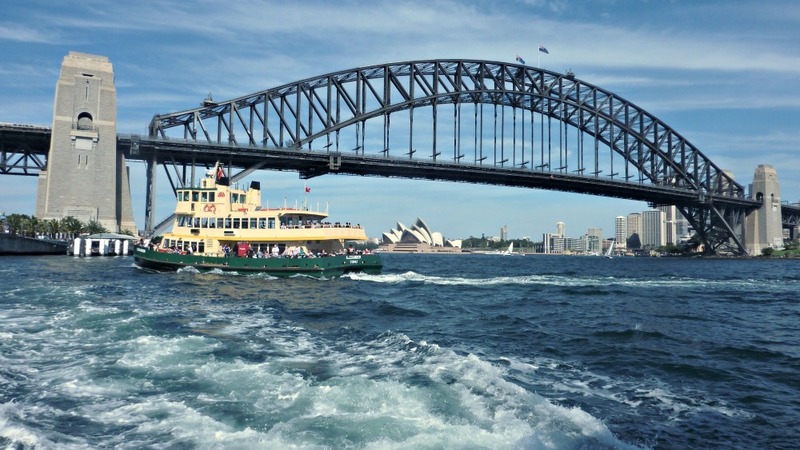 Awesome Ideas for A Sydney Weekender: Where to Play, Stay & Eat!